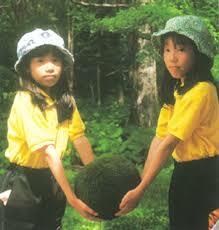 Marimo are a perennial plant. If they do not remain in areas that receive some degree of sunlight throughout the year, they cannot survive. 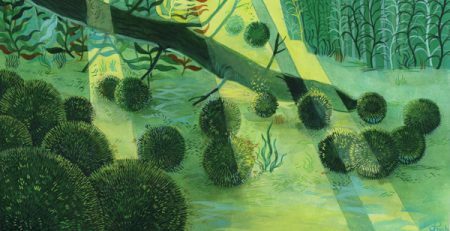 The epilithic filament form of marimo live attached to crags at the lake’s bottom in comparatively deep waters, approximately 10 meters deep, uninhabited by other aquatic plants which might usurp the sun’s rays. 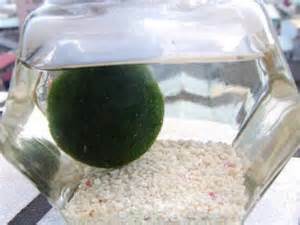 This type of marimo is sometimes referred to as an undergrowth. Epilithic filaments also grow lushly at the bottom of the lake where underground water and water from underground hot springs roll into the lake. 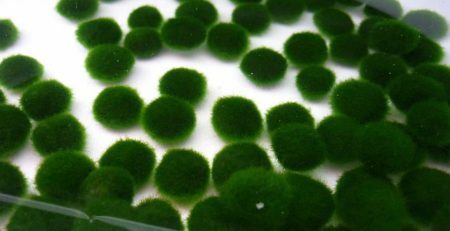 In these areas the stable warm temperature of the in flowing spring water aids in the marimo’s development and is considered an especially effective growth agent. The flow and surge of underground spring water into the lake seems to stimulate growth, prevent mud from building up on marimo, and aids in keeping the rocks to which epilithic filaments are attached from becoming covered in mud. In terms of distribution and growth, aggregate and spherical marimo colonies have become confined to gathering in shoaling areas at water depths of between 1 and 3 meters in Churui Bay and Kinetanpe Bay. Nature dictates that as its diameter increases marimo must enter deeper regions of Churui Bay. 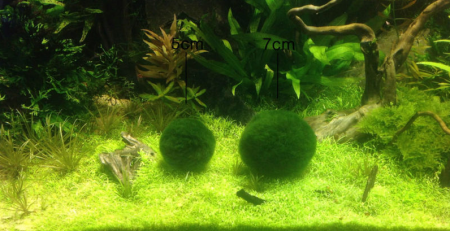 In these deeper regions the diameter of a spherical marimo will gradually increase until, at a water depth of approximately 3.5 meters, it reaches its peak size of approximately 30 centimeters in diameter. 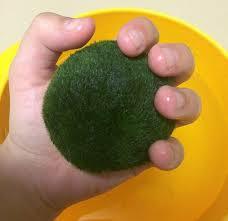 A marimo becoming larger than 30 centimeters in diameter will become structurally weak. Marimo of such size would run an understandably high risk of breaking apart in shallower areas of the lake. 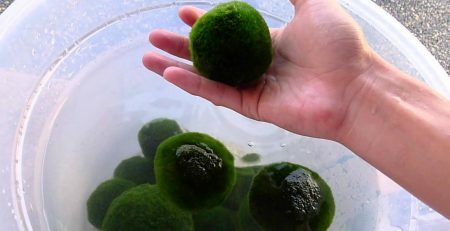 The fragments of broken marimo become free floating (fiel-biiry) filaments and are found spread thickly over the lake’s bed living at water depths of approximately 6 meters. These free floating filaments typically live and accumulate in the areas of the lake surrounding epilithic filaments and aggregates. Recently, however, great numbers of these free floating filaments have been regularly found living in unusually deep waters on the lake’s bottom. 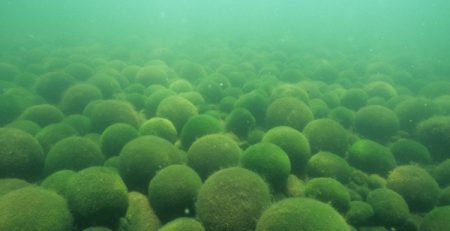 In the near future the marimo’s way of living with regard to the whole of Lake Akan will undoubtedly become more completely understood.